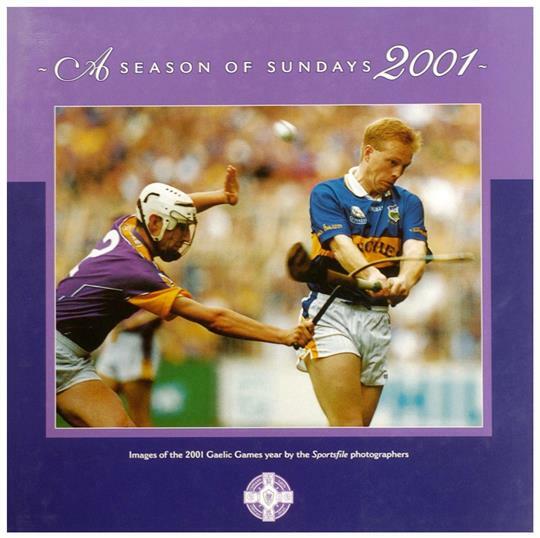 This 146 page hardback coffee table book (300mm x 300mm) is a collection of images of the 2001 Gaelic Games year by the Sportsfile photographers. With text by Irish Times journalist, Tom Humphries, it is a treasured record of the 2001 GAA season to be savoured by players, spectators and enthusiasts everywhere. A Season of Sundays 2001 is filled with moments of triumph, despair, humour and tears, moments of glory and genius. More than that though it is filled with with Ireland and with Irishness. These pages tell of Irish faces and Irish ways and Irish thoughts. And even in bad times there is a lovely grace in it all.